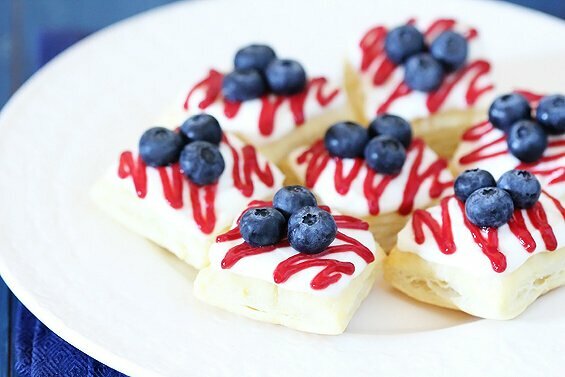 First up are these fun little “Berry Cream Cheese Pastries”. 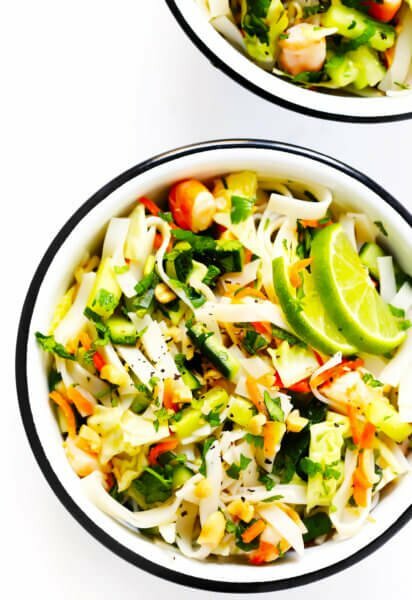 I made a coconut version of these last month to post on Katie’s blog, and one of my taste-testers who came over that week happened to be my sweet 8-yr-old piano student named Elton. He looked at them suspiciously when I sent him home with a few, but his mom told me that he ended up loving them and asked if they could drive back for more! And…there is my life’s calling. :) I love that little guy! And also love these little pastries! Seriously, they were so much fun to make, and as you can see below, I even customized some into little American flags. Sure enough, my friends (and little Elton) LOVED them. 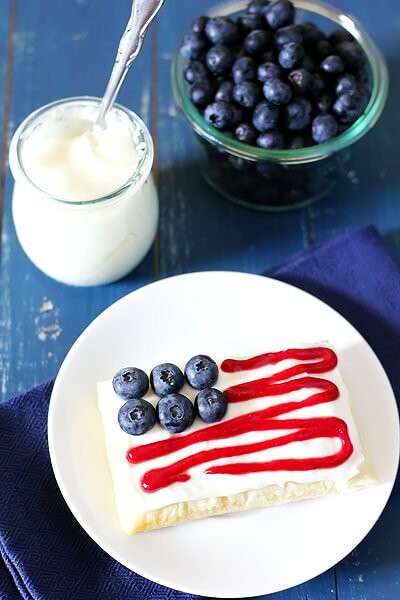 Definitely a delicious, crowd-pleasing dessert for the 4th of July, Memorial Day, or any other occasion to celebrate our red, white and blue! Yield: Anywhere from 16-32 small pastries. 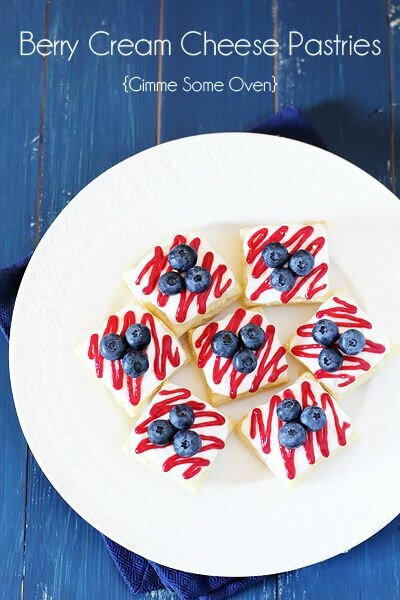 Celebrate the “red, white and blue” with these adorable little pastries! Made easy with puff pastry, these little desserts are fun to customize and your friends and family will LOVE them! Lay out thawed puff pastry on a floured surface, and gently using a rolling pin to even out the creases. Use a pizza cutter or a large knife to cut the pastry into your desired shapes. (I made about 16 squares with one sheet, and 6 rectangles with the other sheet, but you can also use cookie cutters or cut different sized shapes.) Lay out the cut pastry dough on a baking sheet or two. Then use a fork to then poke numerous holes into the middle of each piece, to minimize inflation. Bake pastry according to package directions until it is puffed and very lightly golden, about 12-15 minutes. Remove and let cool. While pastry is baking, use a blender or food processor to puree strawberries and sugar. Transfer mixture to a small saucepan and bring to a boil over medium-high heat. 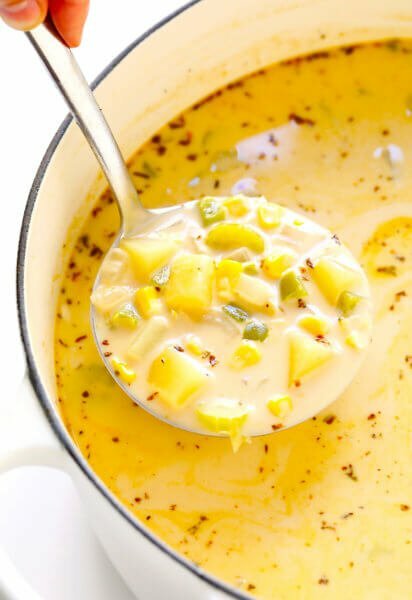 Reduce heat to medium-low, and let simmer for 10-15 minutes until reduced and thickened. Remove from heat. Meanwhile, whisk together (or use an electric mixer to combine) the cream cheese, butter and powdered sugar on medium-high speed until smooth. Add more powdered sugar if you would like a thicker cream cheese spread. 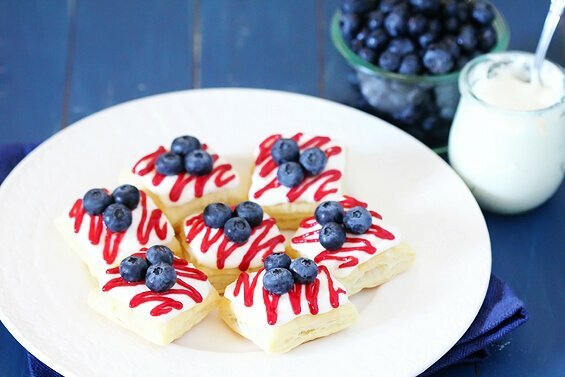 Assemble the pastries by topping the cooked puff pastries with the cream cheese spread, then layer with the drizzled strawberry mixture and blueberries. 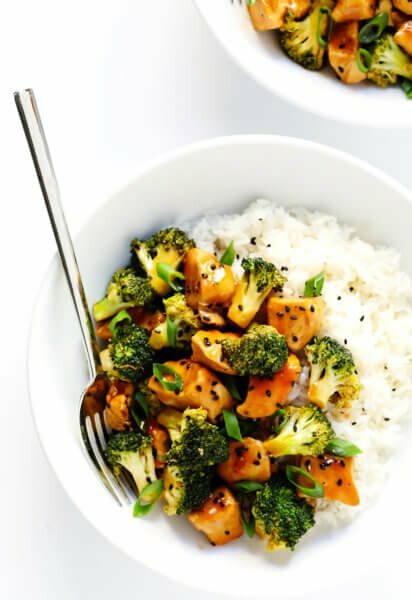 Serve immediately, or cover and refrigerate for up to a few days. Feel free to substitute in cherries or raspberries for the red fruit drizzle! :) You have made quite the fan of little Elton… and actually all of the kids at the orphanage with your tasty desserts! (And not to mention, me!) Blessed will be those who get to enjoy these fun treats for the upcoming holiday weekend! 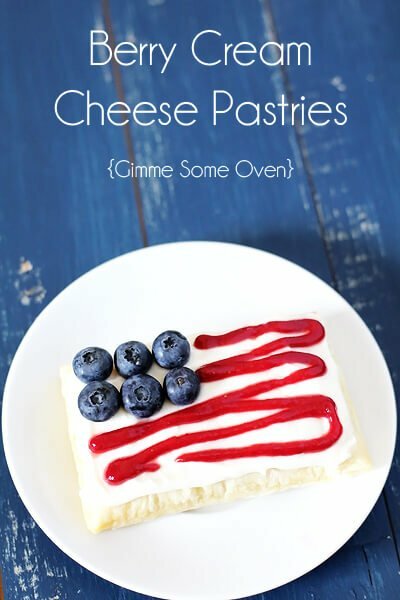 Such pretty pastries and of course the perfect treat for July 4th! I can’t imagine a kid looking at these suspiciously! They’re so cute! Yummy yumm! Can’t wait to try these! 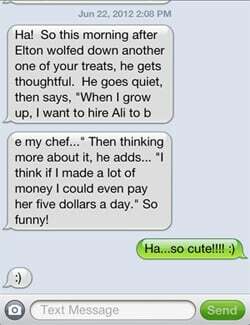 Awww, Elton is too precious! And these pastries are just too cute! I’m definitely bookmarking these for July 4th! That is the cutest story. I love kids! These are so awesome! our red stripes. Maybe not as pretty as yours, but definitely good.